This is one of the most delightful use of colored gems. 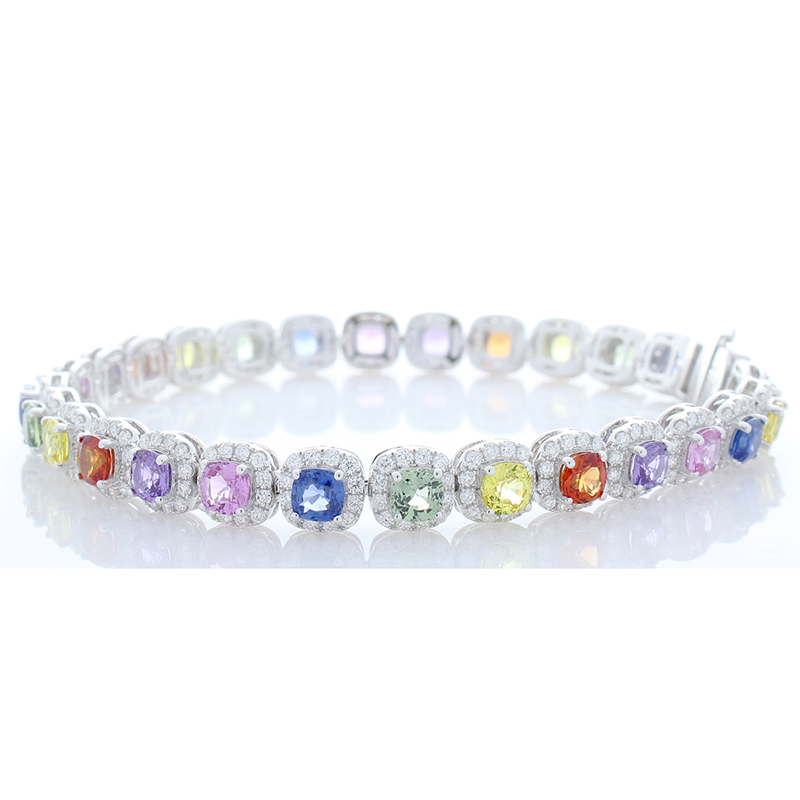 A total of 28 cushion cut multi-color sapphires adorn this gorgeous eternity bracelet totaling 10.10 carats. The gem source is Sri Lanka; the colors are intense, the transparency and luster are excellent. An impressive 2.94 carats of 336 round brilliant cut diamonds are prong set around each vibrant sapphire in a cluster halo setting finishes this incredible look. A hidden slide clasp and safety latch secures this beautiful bracelet all crafted in brightly polished 18 K white gold. The bracelet will get noticed all the time.